Before the Minions meet Gru, their quest in life is to seek out and find the most despicable villains to serve; and over time, their efforts continue to fail and leave them without a purpose. They sink into a deep depression, their prospects seeming non existent; to finally restore hope, the trio of Kevin, Stuart, and Bob depart from the group and seek out a new master once and for all. The Minions were always the most treasured part of Despicable Me to some, and their emphasised involvement in the sequel launched it into further success. I even remember saying back in that review that it would be impractical to make a film out of these yellow guys and their incoherent babble, but alas, it was always going to happen. 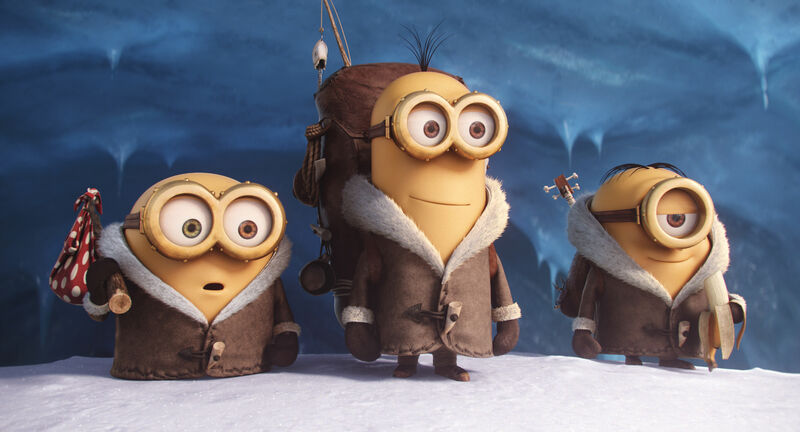 The results are mixed - at times, Minions is extremely funny, and at others, painfully annoying. The plot isn't terrible, but it's nothing special, and plenty of filler is thrown in to stretch out a basic premise into a feature length outcome. A stronger merit to the film is Sandra Bullock, who truly shines as the film's main villain Scarlet Overkill, making her funny and surprisingly threatening at the same time. It's a shame that the creators couldn't become a little more creative with the titular characters themselves; their humour never seems to extend beyond silly slapstick and random noises. Some of the results are admittedly hilarious, but it's not consistently entertaining. 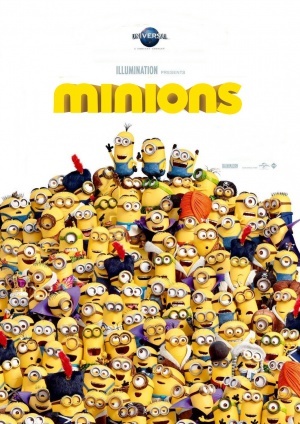 Minions features the same top notch animation present in Illumination productions, as well as the same loveable and zany art style typical to the franchise. As I say, it surely wasn't easy to form a feature length structure for these characters, but the difficulty truly shows; Minions has moments of genuine hilarity, but also suffers from many comedic misfires and a relatively dull plot. The fanbase will adore it, but those unimpressed won't likely be won over.